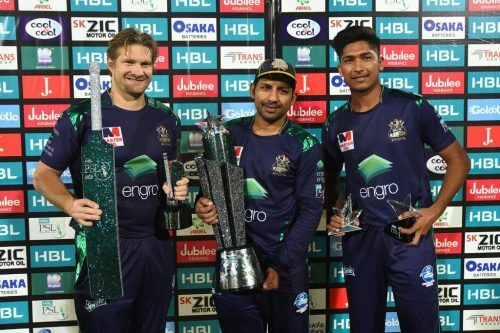 KARACHI (92 News) – Rookie paceman Mohammad Husnain grabbed three crucial wickets while opener Ahmed Shehzad scored a brilliant half century to steer Quetta Gladiators to their maiden PSL title by beating Peshawar Zalmi in the final by eight wickets in Karachi on Sunday. 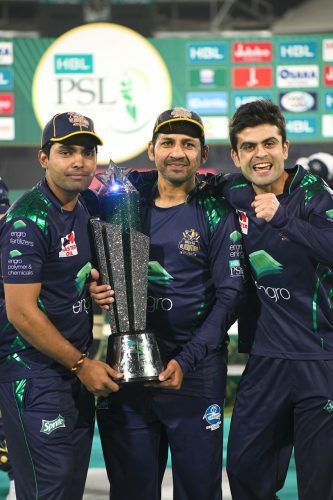 Hussnain’s 3-30 in four overs kept Peshawar down to 138-8 in 20 overs before Shehzad’s 51-ball 58 not out with six boundaries and a six helped Quetta to overhaul the modest target in 17.5 overs much to the joy of a packed 32,000 National stadium. 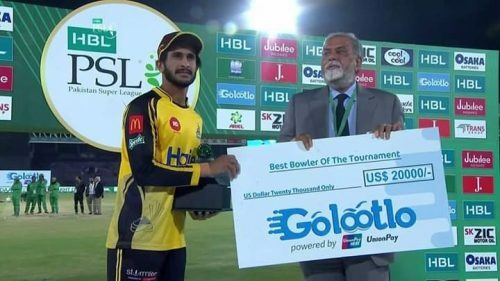 Hussnain was delighted at being man of the match. “I am thankful to Almighty a chance to play the final and then be man of the match,” said Hussnain, who is also in Pakistan’s squad for the five-match ODI series against Australia starting on Friday. Maqsood was dismissed by Dwayne Bravo while Amin holed out of Hussnain. Peshawar had expected Kieron Pollard to add some fire to the batting but he too fell to Hussnain, caught behind for seven while Darren Sammy scored 18 with two boundaries. Dwayne Bravo finished with 2-24.